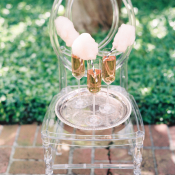 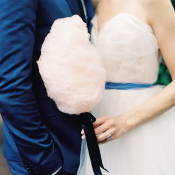 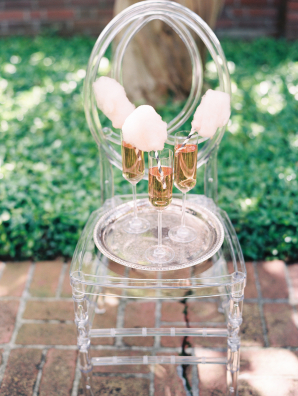 Equal parts glamorous and playful, this garden wedding inspiration shoot from Marsais, Blush and Vine, and Weddings by Jessee channels inspiration from Marie Antoinette and cotton candy! 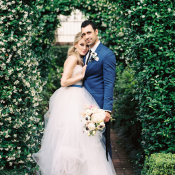 The unique juxtaposition perfectly captures the sweetness of Brittany and Ethan’s love for one another, and combines for a whimsical fairytale shoot not to be soon forgotten. 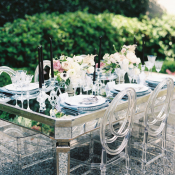 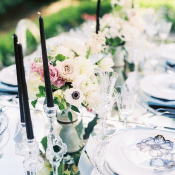 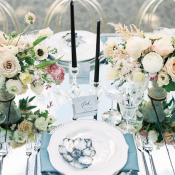 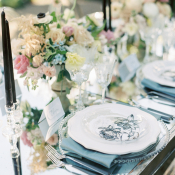 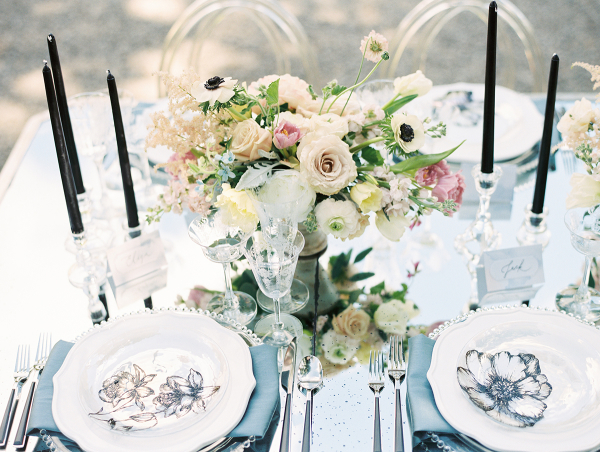 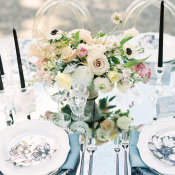 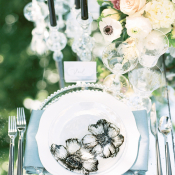 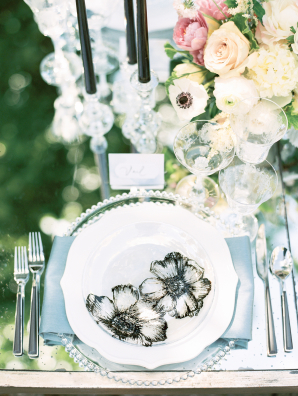 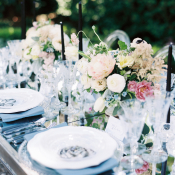 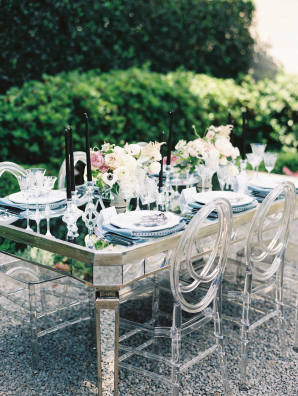 Enchanting details such as a mirrored table, hand-painted opal dinnerware, and dramatic black taper candles set the scene, with lush compote-style arrangements from Blush and Vine completing the glimmering tabletop. 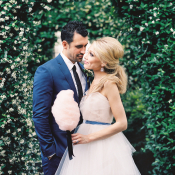 Cotton candy from Lush Puff echoes the gown from Carol Hannah with swaths of tulle, and sleek black accents from the silk ribbon by Honey Silks & Co. to fabulous Manolo Blahnik heels play up the glamorous style. 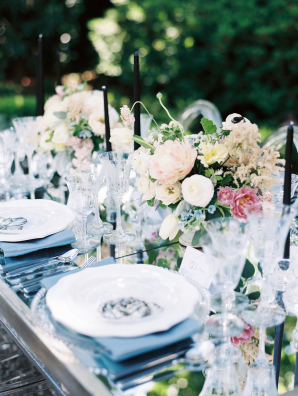 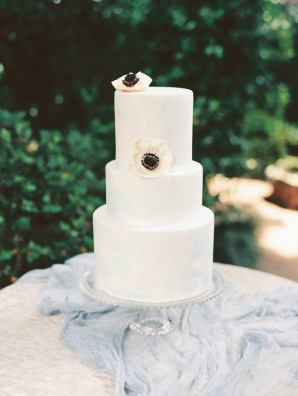 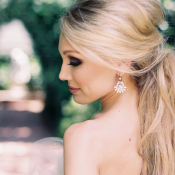 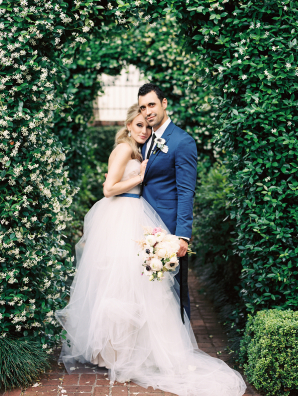 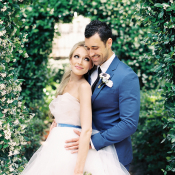 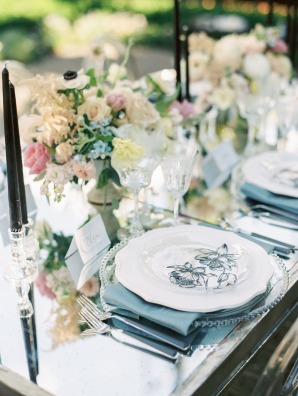 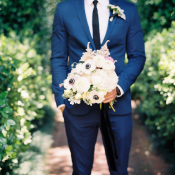 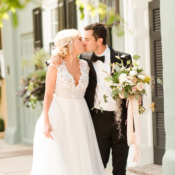 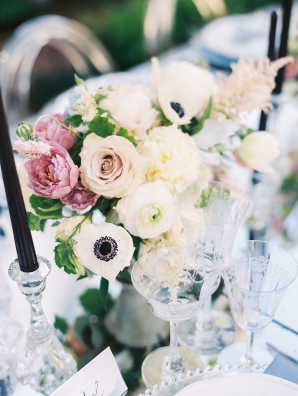 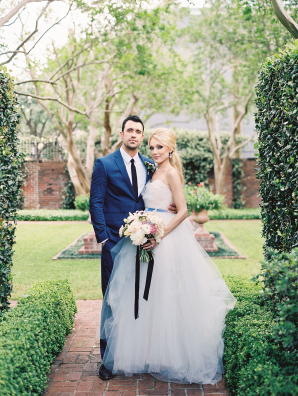 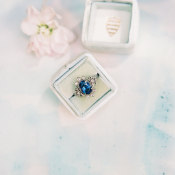 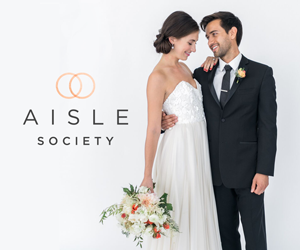 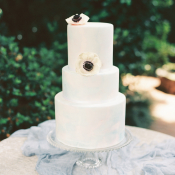 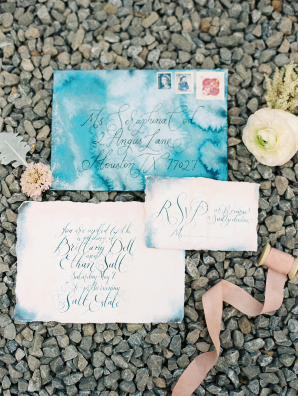 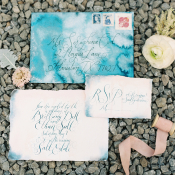 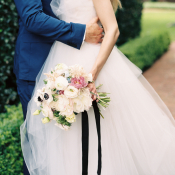 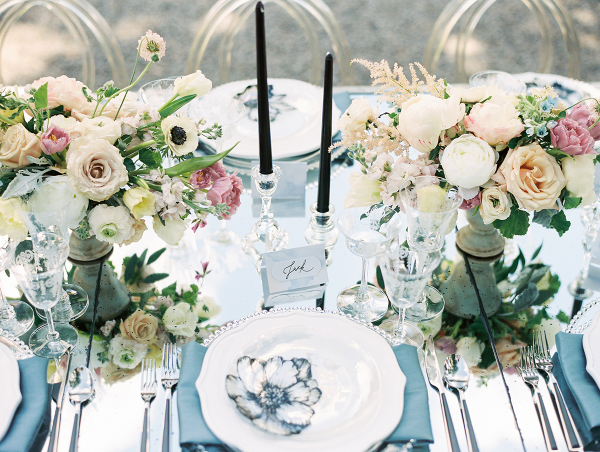 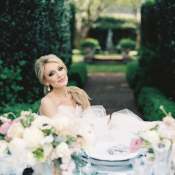 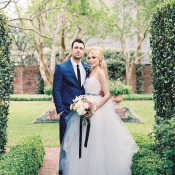 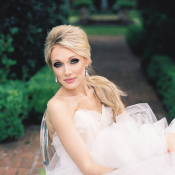 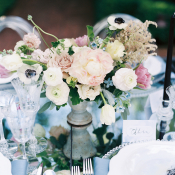 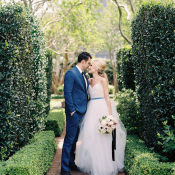 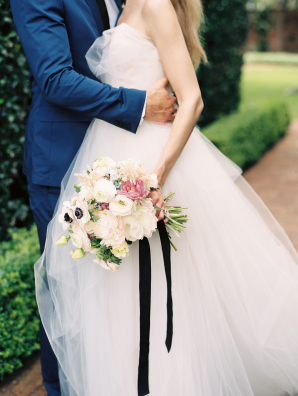 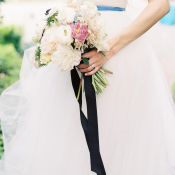 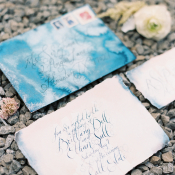 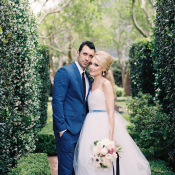 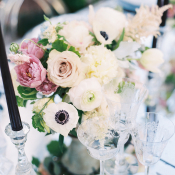 We are swooning over every unexpected detail in the lovely images captured on film by Marsais! 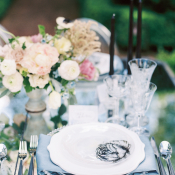 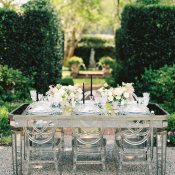 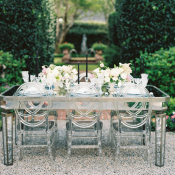 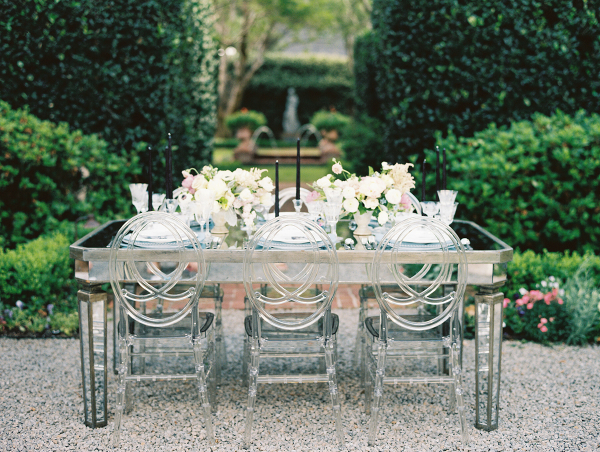 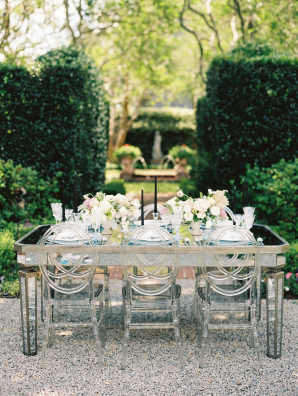 Georgia Garden Wedding Announcing the New Wayfair Wedding Registry!